These glycerin soaps have such a wonderfully fresh scent! Make them a part of your bathroom decor! Each measures about 3" tall (men) or 3" wide (ladies) and comes packaged in a plastic case. Each sorority soaps come with your letters and symbol. 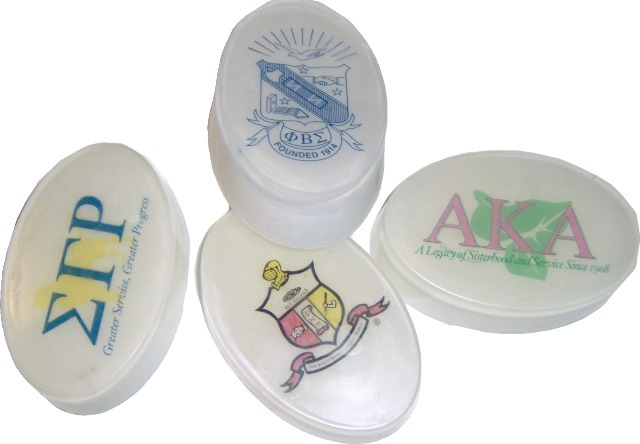 Fraternity soap feature your crest.